After taking on a foreclosure case, defense attorney Mickey Haller must prove his client's innocence — but first he must follow a trail of black market evidence to its sinister end. Mickey Haller has fallen on tough times. He expands his business into foreclosure defense, only to see one of his clients accused of killing the banker she blames for trying to take away her home. 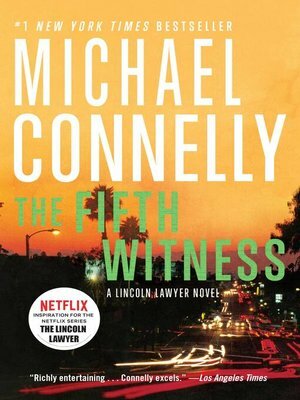 Mickey puts his team into high gear to exonerate Lisa Trammel, even though the evidence and his own suspicions tell him his client is guilty. Soon after he learns that the victim had black market dealings of his own, Haller is assaulted, too — and he's certain he's on the right trail. Despite the danger and uncertainty, Haller mounts the best defense of his career in a trial where the last surprise comes after the verdict is in. Connelly proves again why he "may very well be the best novelist working in the United States today" (San Francisco Chronicle).